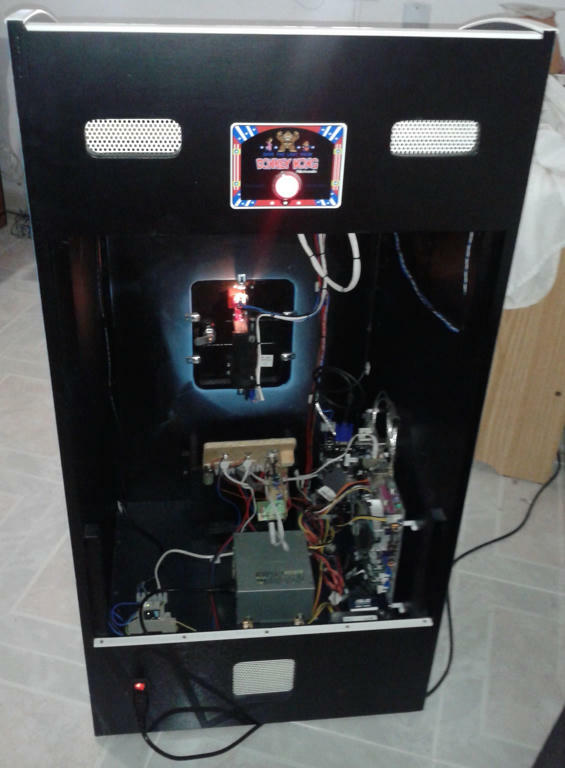 Some months ago, I finished my first custom arcade cabinet and I want to show you the finished thing. 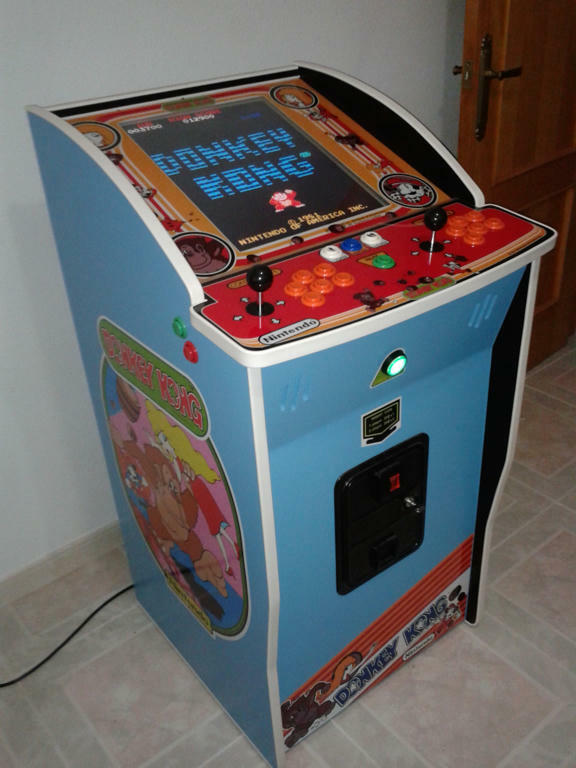 It is a tribute to Donkey Kong so I tried to build some of the details in that fantastic cab. I started with a bunch of wood pieces from different sources and different kinds, but with effort, everything has finished integrated in the same cabinet. 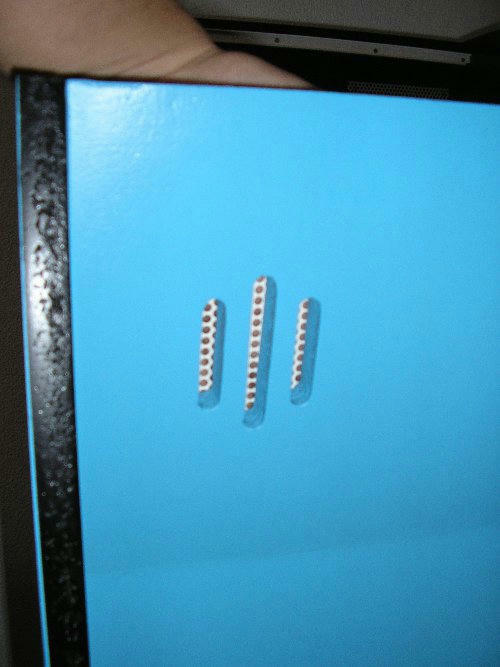 I like the admin plate you made that's hidden behind the coin door. Nice touch. Some choices I would probably not make but a very good job and a nice cab. Love the unique shape. 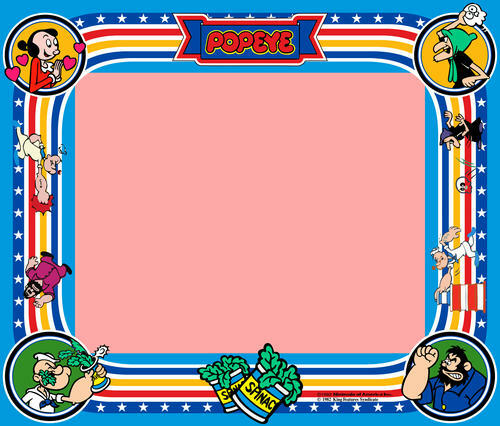 Bottom-right corner of the bezel. Why is that there? 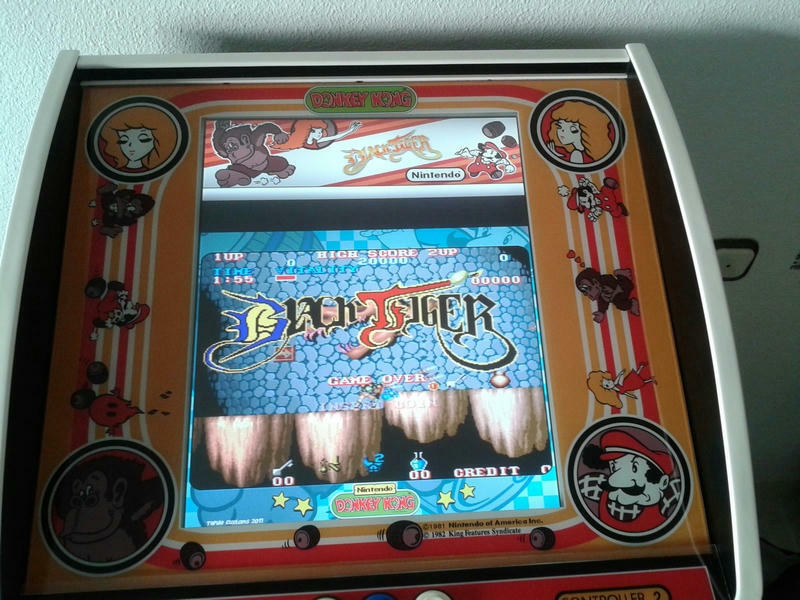 Bartops all the way ! 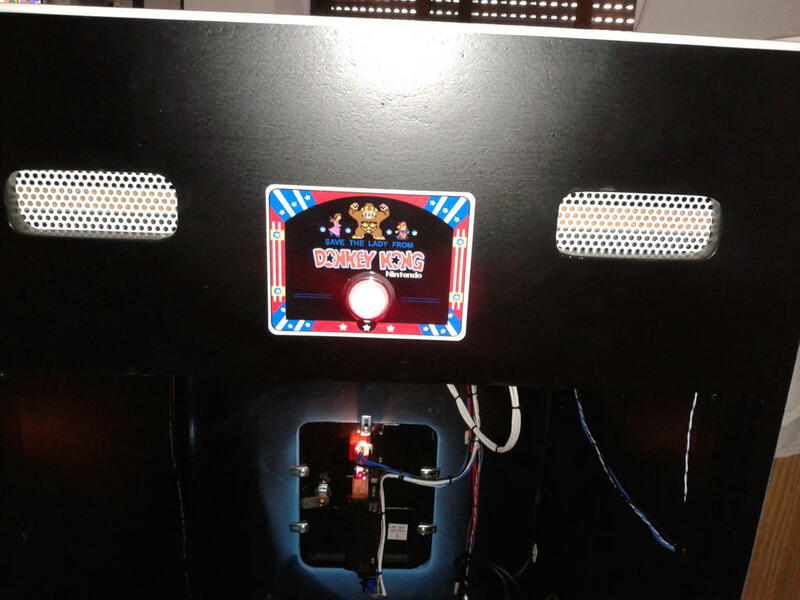 BARTOPMANIA, THE FIRST FORUM FOR BARTOPS ! Nice fresh designed low-boy! I like it! Nice lines, and the overall shape is easy to look at. Though I have a few criticisms: I wish it had marquee of some kind. 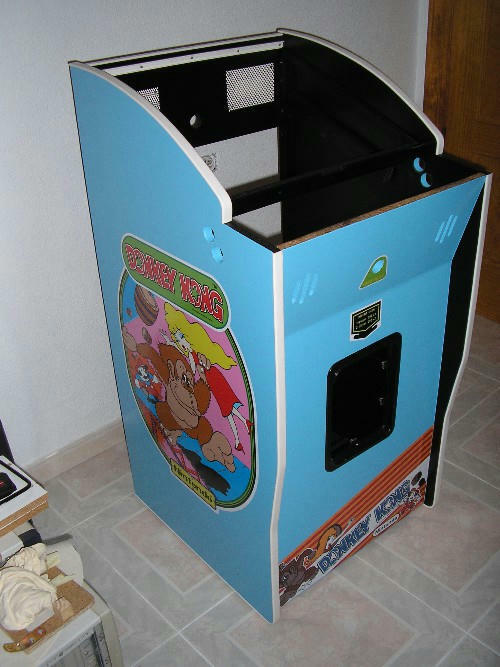 You could add a plexi marquee to the back-top edge, similar to Japanese Cabinets, and put a 'flyer' or Instruction/Pop-up Art in between 2 plexi's pieces. Would really finish it off nicely IMO. I would have scaled the foot-base art a little higher, filling up that space a bit more. All the way up to the coin doors. On the same lines of art placement the side art could be positioned a bit higher as well. 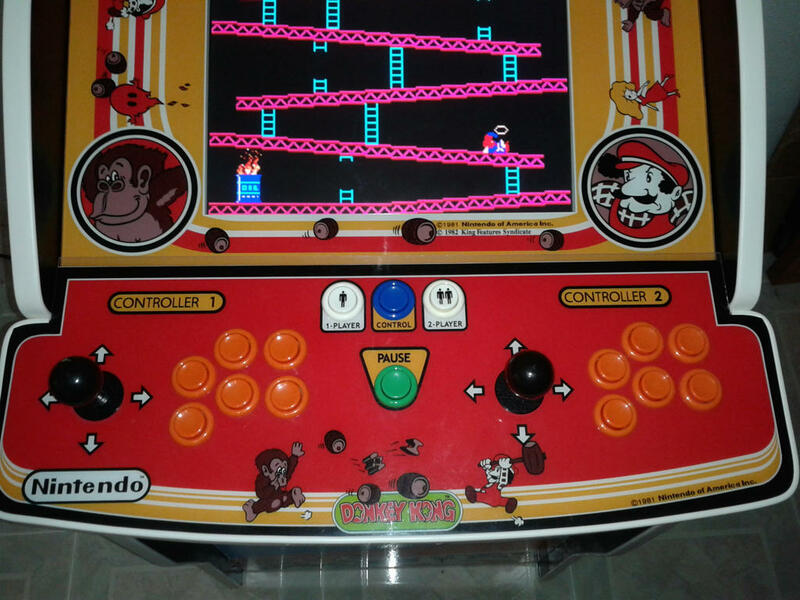 Guessing those side buttons are for pinball games? Not sure if they're necessary really, giving the width of your cabinet. Don't get me wrong, I really do like the look of this lowboy, but like harvey said, there's just a few choices I would have done differently as well. One thing I noticed right away was that you don't have much ventilation in there. 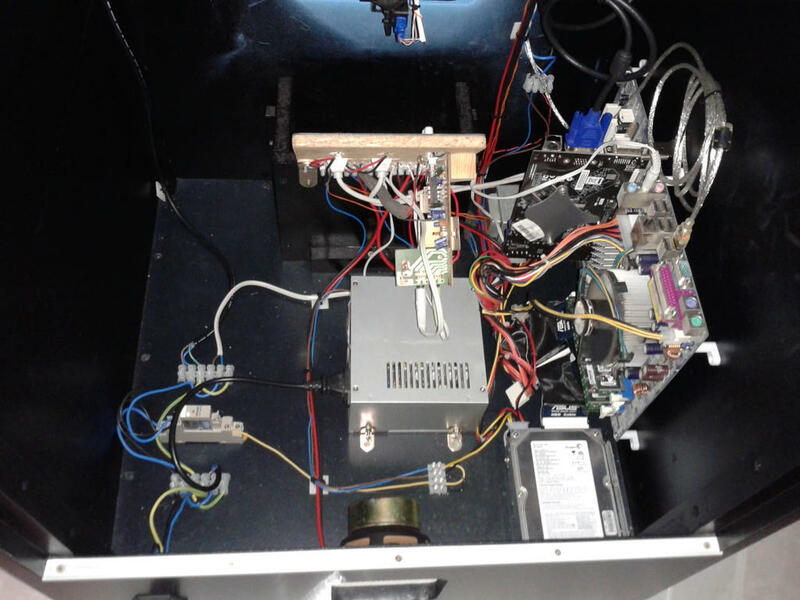 I guess using an LCD cuts down on the heat, but with the computer + screen running in a fairly enclosed space, I'd be worried about heat buildup. One more criticism, with the shape and well executed inspired/homepage design, this thing is begging for a nice CRT. Personal preference I guess. 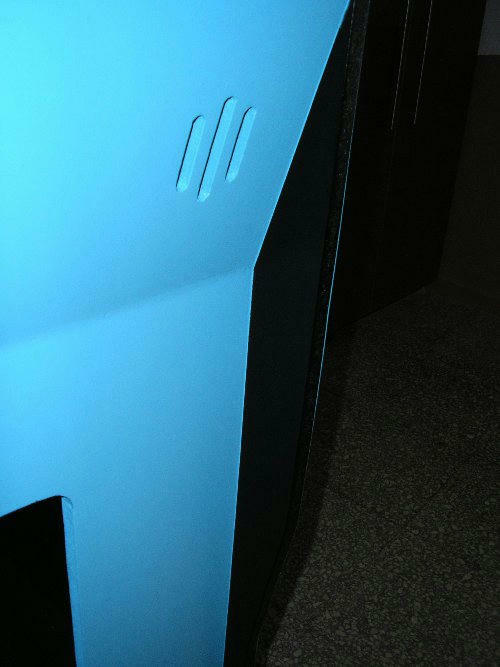 Anyway take this all with a grain of salt, I still think your cab turned out great. Post some build pics! Yes, It is a good idea to put one of this in the cab. 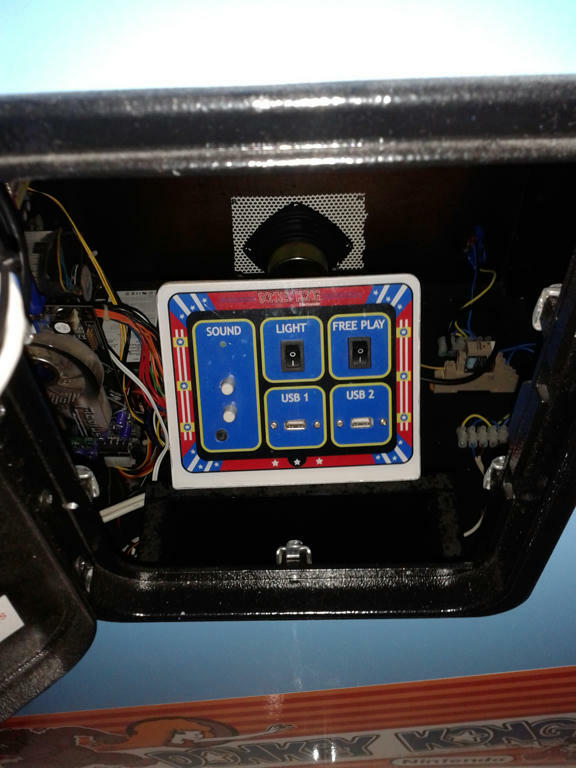 From it, I can disable the free credits button (green button with light on the front), shut down the buttons lights, control the general volume and of course connect a usb mouse and keyboard for additional config. Yes, I had to resign to the marquee because of the design, this is why I put it in the foot-base. Maybe I can add some kind of marquee in the future. 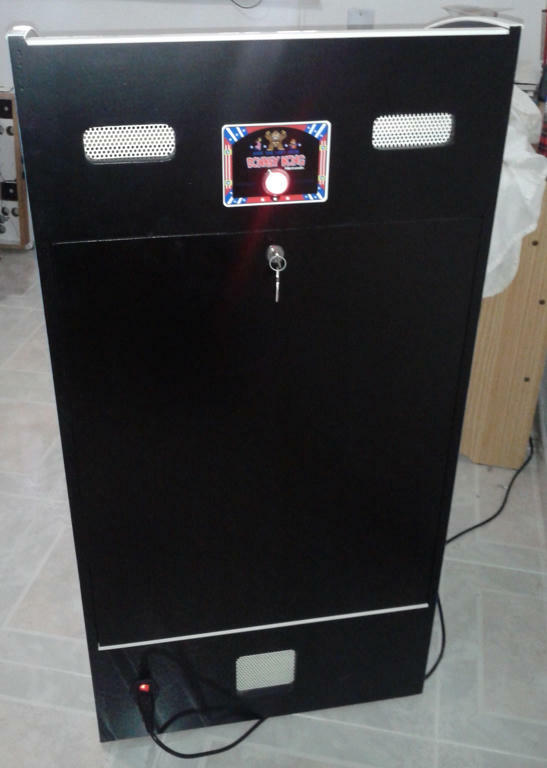 The side buttons are for pinball but I have not added the pinball games yet. 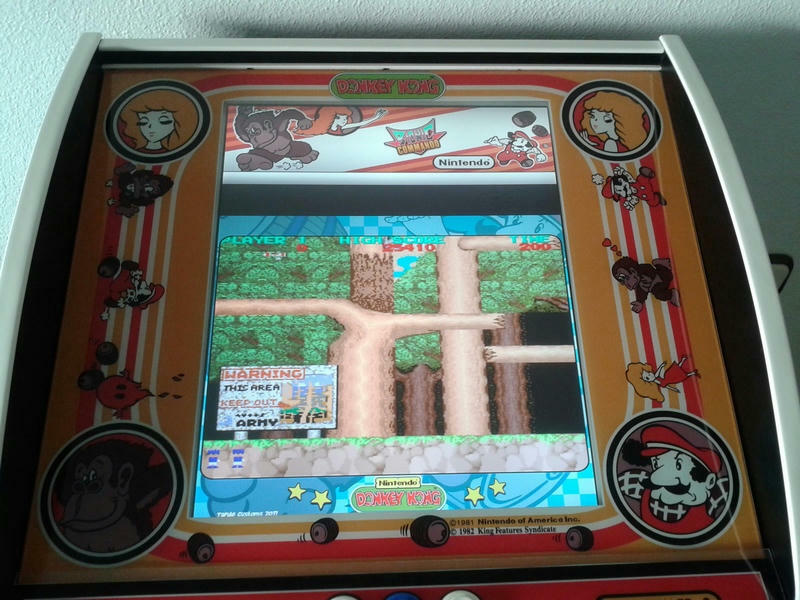 You know, when you start to work in the cab, you always want to add everything but then you think on the games you play and, in my case, basically are arcade games. 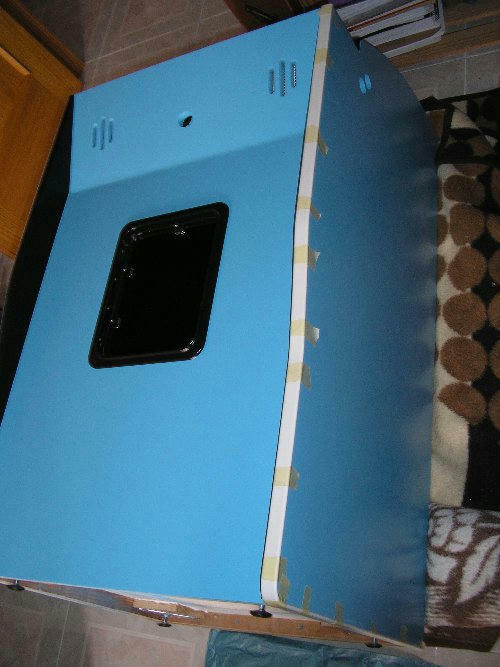 The PC, is an old P4 and in the original case it had no more ventilation so I think that in this cab it has more space than in it's original case so don't need more ventilation in my opinion. Yea! 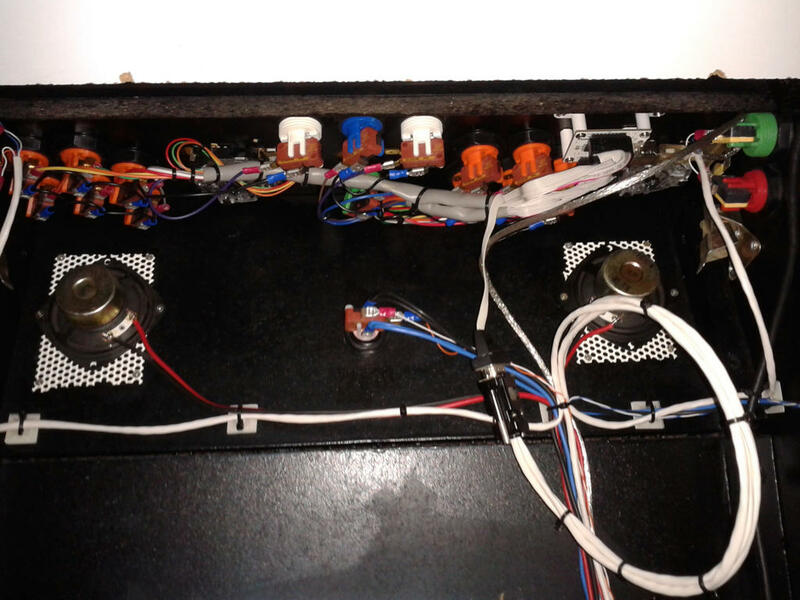 !, I had a 21' compaq CRT for this cab, but it was so big and so heavy that I had to use a TFT instead. 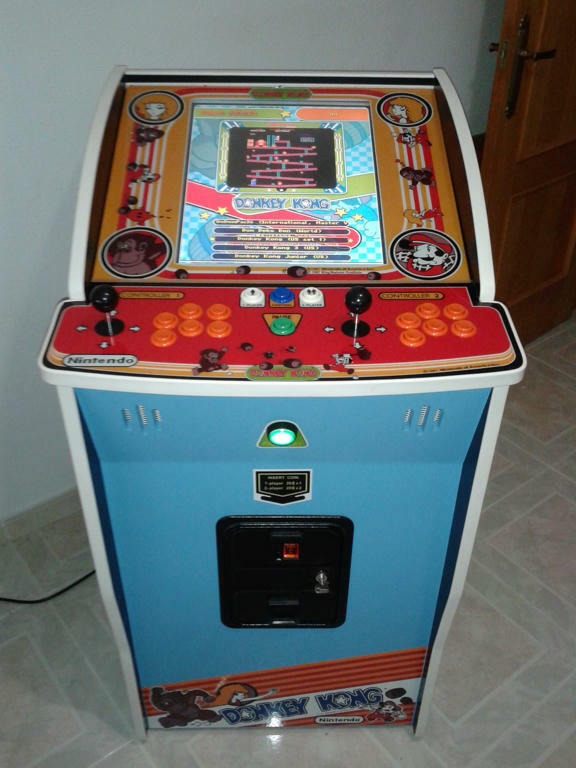 I think it would have looked nice as a one player, vertical only 4 - way cab. I assume you're playing horizontal games letter boxed. Congrats on this, very nice finished product and I love the design. 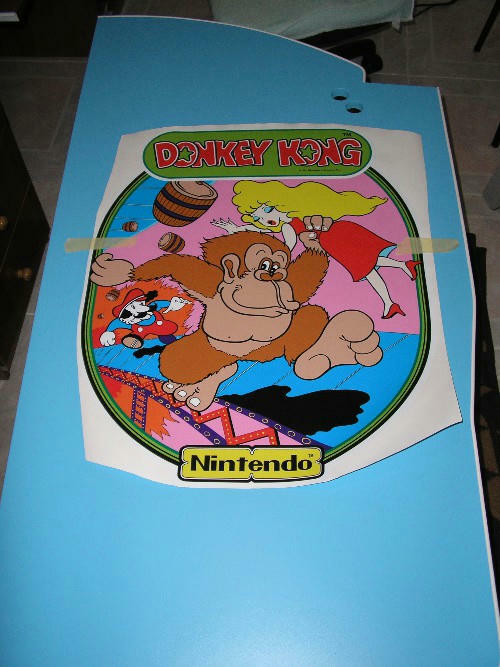 Would be proud to have it in my game room. This is a wonderful example of what these forums are all about. Original design and flawless execution. The side art is backwards mirrored. Took me a second to notice that. However, I guess that was on purpose. Well done! I love unique cabinet designs. 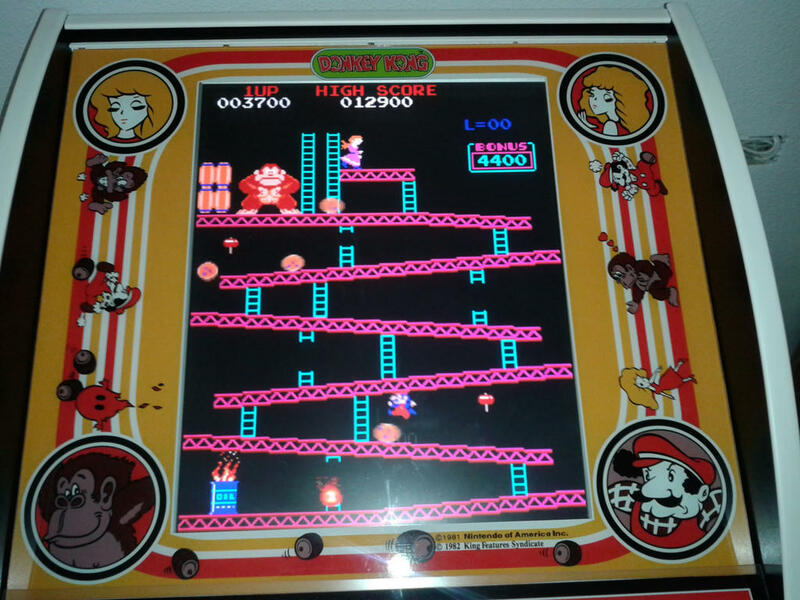 Now all you need to do to complete this project is to toss in a Scanline generator for that LCD. ....toss in a Scanline generator for that LCD. +1! Crafty's Mini_SLG for the win. Crafty's Mini_SLG for the win. So.. where can I buy one of those? I assume you're playing horizontal games letter boxed. I mirrored the left sideart because I think It look better with the two sides symmetrical and as I redraw about 50% of the sidearts in Inkscape, It was simple to do that. Seems interesting, I will take a look. By the way, I think I will release my Maximus theme in the weekend. 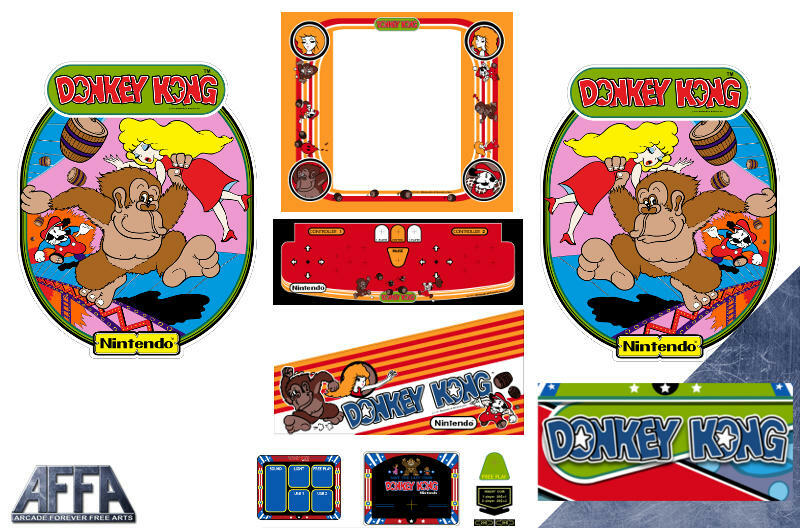 After think on it carefully, I decided to share all the artwork of my custom DonkeyKong tribute. 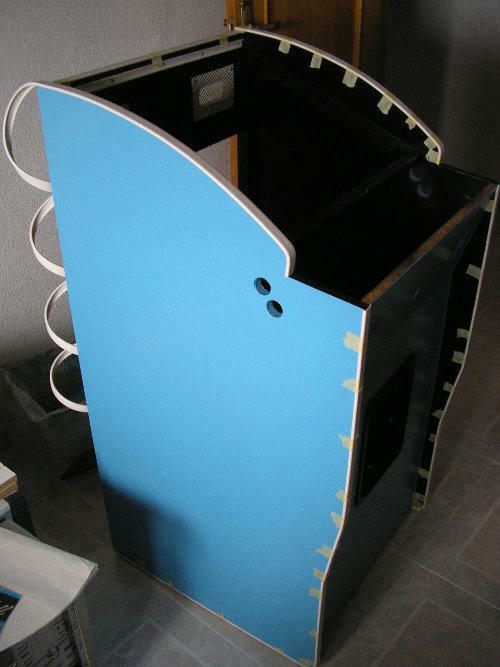 The cabinet artworks, are part of the AFFA project in ArcadeForever. 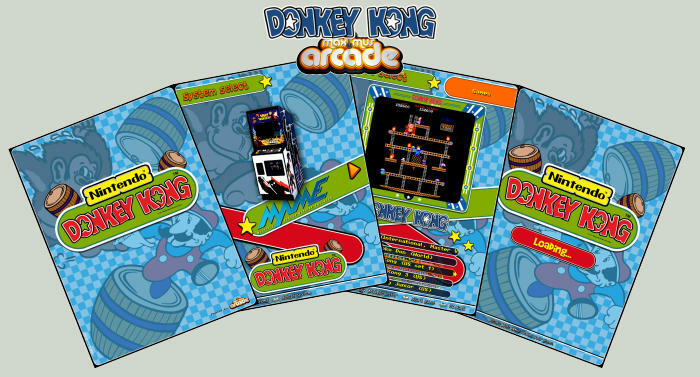 The Maximus Arcade Theme, is a pack. My intention is share it as I have in my cab, so not only the theme is included, it also includes the fonts, some sets of pre-rendered wheels for the theme and a Linux shell script for automatize the process of render new wheels. 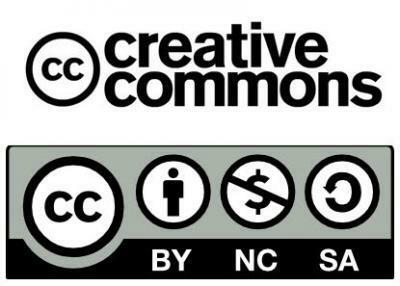 I don't want to end without give thanks to the guys behind http://vectorlib.free.fr/, thanks for share so many vector arcade artwork, and also the people in http://www.hyperspin-fe.com/, thank you guys for the great work you do in all these stuff for frontends like wheels, themes, etc. Really digging your take on this. Very clean, excellent wiring methods. 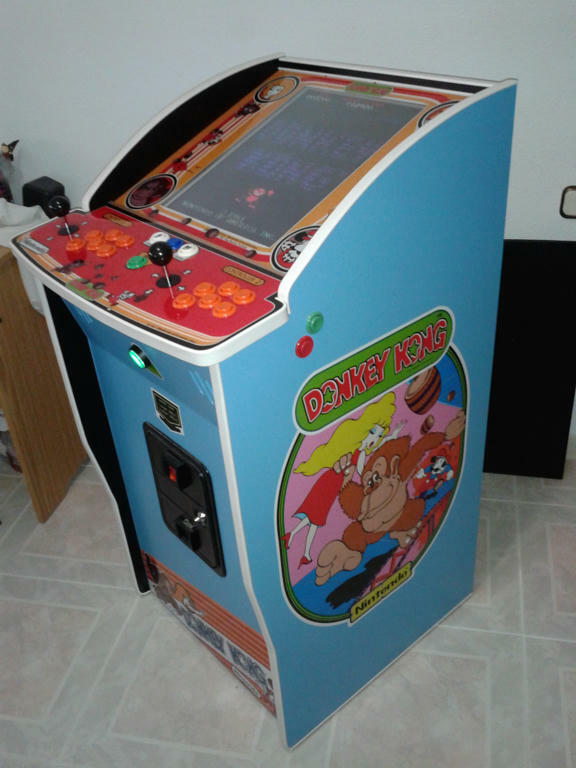 This is an awesome cabinet, very clean and well designed! 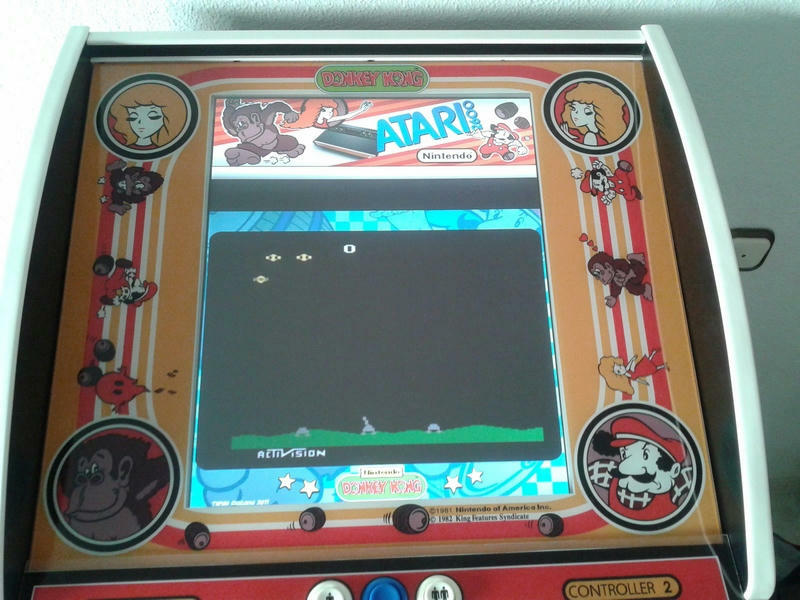 Perfect for a home arcade unit. Any chance you can share the basic cabinet plans and dimensions? 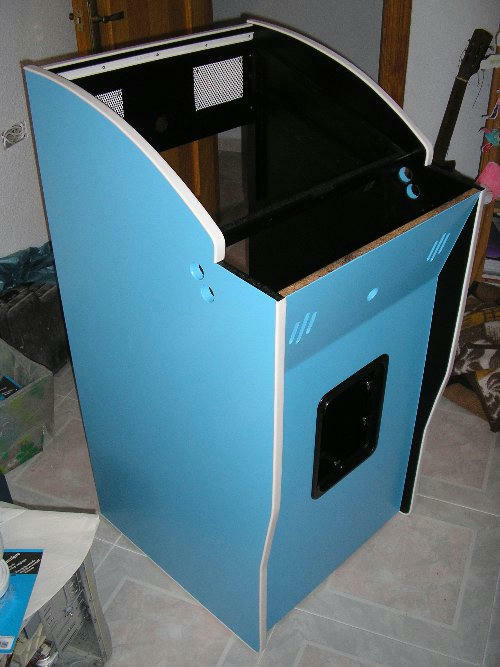 Hope you continue to make more cool and innovative cabinet designs. Page created in 0.167 seconds with 53 queries.